Yes, I am an introvert living in China. I cannot say that I live among 1.3 billion people all at once, but on any given rush-hour subway ride, it’s easy to feel the numbers. Even on a relatively quiet day in Beijing, the sheer volume of humanity is immense. These past few weeks have been something of a sprint for me, mostly due to college applications: reading essays, meetings with a steady stream of students, writing recommendations, and fighting the Common Application. All of this is truly rewarding and, I hope, fruitful, but again the relentless immersion in and amongst the lives of others can wear one down. This past week was CARP Week at the school. I still don’t know what CARP stands for. In any case, the theme of the week was “light.” Students and faculty spoke and thought about light from the perspectives of science, literature, culture and drama. 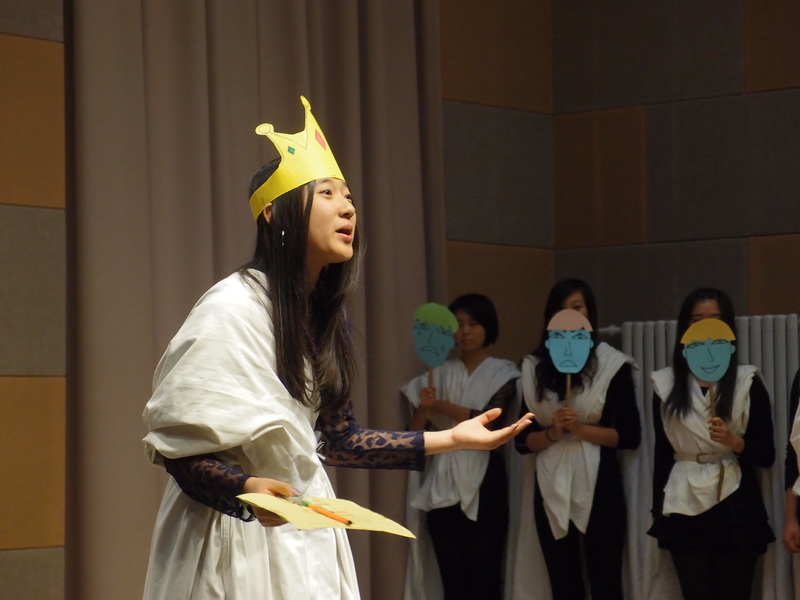 It culminated in an abbreviated yet very well done version of Oedipus Rex. See the photo of Jocasta. CARP Week has segued into travel week. Now, most of the students are elsewhere. And by elsewhere I mean elsewhere: Botswana, Bali, Yunan and Shanxi/Shaanxi. I was hoping to go to Cambodia with a trip, but it was scrubbed. So, here I am. For the first time since arriving at The Affiliated High School of Peking University, I can say it is truly quiet, almost silent. When the wind blows, I can hear the rustling of the leaves. It’s beautiful. Monday I begin again with college applications, as I am working with students from the main campus, who remain here in Beijing. However, for these 48 hours, I will revel in this peace.